DAKAR, Senegal – On a hot summer day in December 2015, Khady, a quiet 19-year-old, approached a lively crowd of Senegalese youth gathered on a beach in Keur Massar, a development near Dakar. She listened attentively as representatives from the campaign Summer Tour #FagaruJotna educated the young onlookers about male and female condoms, the need for family planning services, the importance of regular screenings for HIV and other sexually transmitted infections (STIs) and other critical elements of comprehensive sexuality education. She added that, despite the fact that many Senegalese youth are sexually active, it is very difficult for them to find information on sexual and reproductive health, making the campaign particularly valuable for her and her friends. She then headed down down the beach to join the 1,100 other youth who attended the outdoor festivities that Summer Tour hosted that day, which included a football tournament, a DJ and live performances by two local rap groups. As Khady stated, Senegal, like many countries, has a lack of programmes offering sexual and reproductive health services, and discussions about sexuality and the distribution of condoms is not widespread – though the need for these services among youth is high. By the age of 19, nearly 1 out of 10 Senegalese women have given birth, and only 18 percent of all women of reproductive age report having access to any method of birth control, according to the UNFPA's State of the World Population 2015. Comprehensive sexuality education provides young people with the knowledge they need to make decisions responsibly, and those without access to these essential services are more vulnerable to coercion, STIs and unintended pregnancy. In an effort to empower the nation’s youth to responsibly make decisions about their sexual and reproductive health, representatives from Summer Tour #FagaruJotna – a joint initiative of Marie Stopes International, the Senegalese NGO Parole aux Jeunes and UNFPA – hit the beaches of the country’s major coastal cities from July to December 2015, when many Senegalese youth flock to the shores to escape the heat of the city and mingle with friends. The campaign held group presentations, distributed condoms and offered those who were interested family planning services and STI screenings. They also organized sporting and musical events at each stop to help raise awareness about the campaign. In addition, the popular Senegalese musical group Bidew Bou Bess composed a signature song for the campaign titled “Fagaru Jotna”. 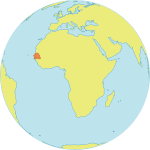 Fagaru Jotna means “be prepared to protect yourself” in Wolof, a language widely spoken throughout Senegal. In addition to the song, which Bidew Bou Bess performed live at two Summer Tour events, the phrase served as the campaign’s hashtag, allowing Summer Tour to share information about sexual and reproductive health and spread the word about its activities through Facebook, Twitter and Instagram, which the youth of Senegal use heavily. By the end of December, Summer Tour #FagaruJotna had visited a total of nine beach locations, educating more than 10,000 young people and distributing almost 20,000 condoms. Approximately 2,000 of those reached took advantage of the other screening and counselling services being offered.